This case combines the best pro features of larger console cases and integrates them into a smaller package. 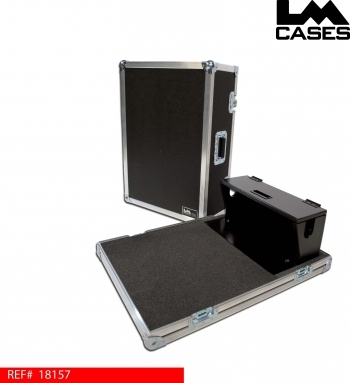 The case features a 1" foam lined interior with foam blocking around all critical components. The board is held in place by the custom doghouse that contours the back of the board along with a foam block that pins the board down at the arm rest. Pinning the console by holding the front and rear allows a space between the knobs and faders and the top foam of the case. 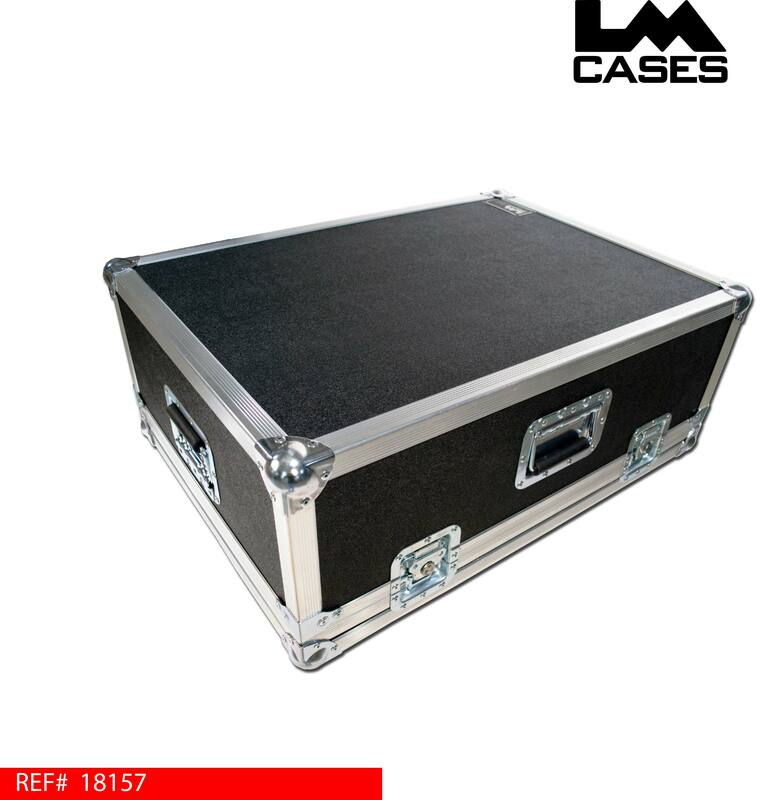 This case features a doghouse built out of 3/4" cabinet birch. 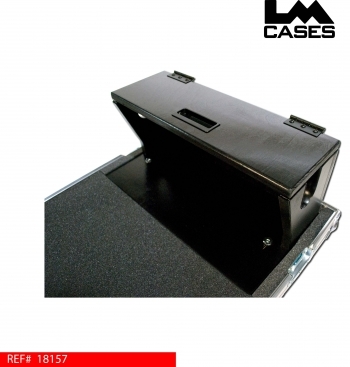 The doghouse is CNC cut to the exact profile of the mixer to ensure a snug fit, it also features rubber weather stripping as a barrier between the console and the doghouse. The doghouse can either be finished in high gloss black (shown), or LM's proprietary textured coating.